Professionals and small businesses ignore the power of social networking at their peril. Sites like LinkedIn have become critical in building a network and connecting with customers, generating leads and screening new employees. As social networks go, LinkedIn which launched in May 2003 is the social media site of choice for professionals and is the world’s largest professional network with over 120 million registered members. Of the big three social networks; LinkedIn, Facebook and Twitter – LinkedIn is the oldest and the only business oriented social network. LinkedIn gives you the tools to control your professional identity online. Have you Google your business lately? If you have a completed LinkedIn profile, chances are it will appear in the top 10 search results. This allows you to control the first impression people get when searching for you online, an important aspect of the sales process. 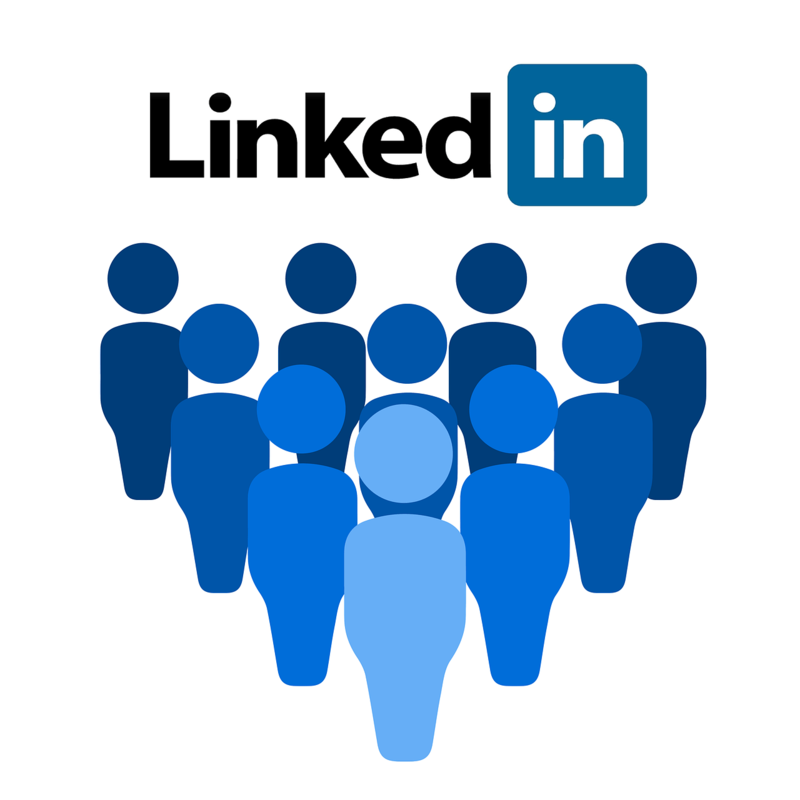 LinkedIn helps professionals connect with customers, partners and business prospects, and is the one social network you can continually use to enhance profile and generate leads. The best way to do that is to make sure you are using the full power of LinkedIn to maximize your marketing potential. 1.) Complete your profile. Your profile is how you get found on LinkedIn and the first thing prospective customers, or clients, may read about you. The more detailed and up-to-date your profile is, the better the chance you will be found and contacted. Complete your profile as carefully as you can and provide detailed information on your skills, experience and any awards you may have received. Be sure to add a photo (a head shot is best) to your profile. Make sure your photo is professional in nature and representative of your industry. Remember this could be the first impression you make on a prospective customer. 2.) Basic Information and Summary. Don’t forget the headline appears at the top of the page when someone views your profile and shows up in Google searches – it’s your first chance to make a good impression. The “Summary” section of your profile is where you can highlight your skills, services and accomplishments. Grab the reader’s attention and get them thinking by letting your creativity and passion come through. 3.) Contact Settings. Your contact settings let your connections (customers and prospects) know what types of opportunities you are open to. Options include: consulting offers, new ventures, business deals, expertise requests and reference requests. 4.) Website and Twitter Links. The “Links” section of your profile is a good way to provide even more information to potential customers and your contacts. If you have a blog, Twitter account, or a website, include those links in the Links section of your profile. Be sure to name the websites accordingly (e.g. “Company Name” Blog) rather than using the default “company website.” This small detail will help you stand out from the majority of LinkedIn users. 5.) LinkedIn Applications. LinkedIn Applications are an excellent way to stand out from the crowd and share even more information in your profile. The blog application enables you to feed your blog directly to your profile, so other LinkedIn users can see the most recent posts. Other useful applications include embedding your Slideshare presentations and Twitter feed. There are a variety of applications to choose from, so think carefully about which apps make the most sense for you and don’t overdo it. 6.) Your Public Profile and URL. Don’t forget to make your profile public – that’s how the world can find it. You can customize which portions of your profile are displayed to the public. You can also customize your URL to give you a link that’s easy to share and shows up well in searches. 7.) Grow Your Network. The more connections you have, the more opportunities you open yourself up to be careful not to connect with people you don’t know. Connect with colleagues from current and previous employers, clients and people you have done business with, people you went to school with, or have had some sort of business or academic affiliation. 8.) Give and Get Recommendations. Prospective clients and customers view LinkedIn recommendations as references or testimonials. Having strong recommendations can be a big advantage if you are shortlisted for a project, or contacted by a prospect. One of the best ways to get recommendations is to give them. Take the time to write recommendations for select clients and they will often reciprocate. Be careful not to give and receive too many recommendations at the same time. Discover the most popular discussions in your professional groups. Play an active part in the top discussions and demonstrate your expertise by strategically liking and commenting. Follow the most influential people in your groups by checking the Top Influencers board or clicking their profile image to see all their group activity. Quickly browse previews of the comments in a discussion to scan for opportunities to engage with prospects in your category.